It’s funny the things that become traditions. Em and I have gone down into the city around Christmas almost every year since the winter of 2005, after I moved out here to work at Wizard. 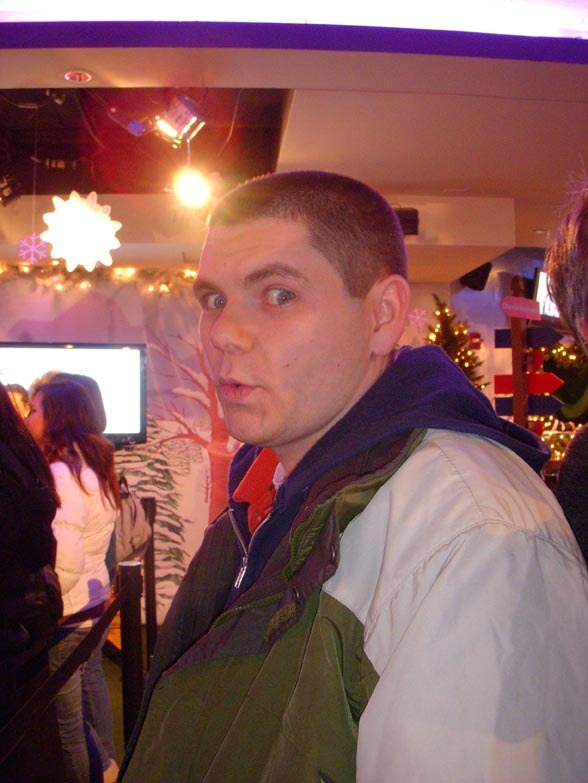 That year we went down and checked out the store windows, the tree at 30 Rock and some other sights (after going in the wrong direction and having no idea where we were). Then, in 2006, Em’s parents came down from New Hampshire to check out the windows and the tree a week after Thanksgiving. In a strange twist of fate it turned out to be REALLY warm that weekend, so the streets were packed. If you’ve ever been near 30 Rock, you know how big those sidewalks are. They were completely full of people. We walked by all looked to our left, saw the tree and moved on. 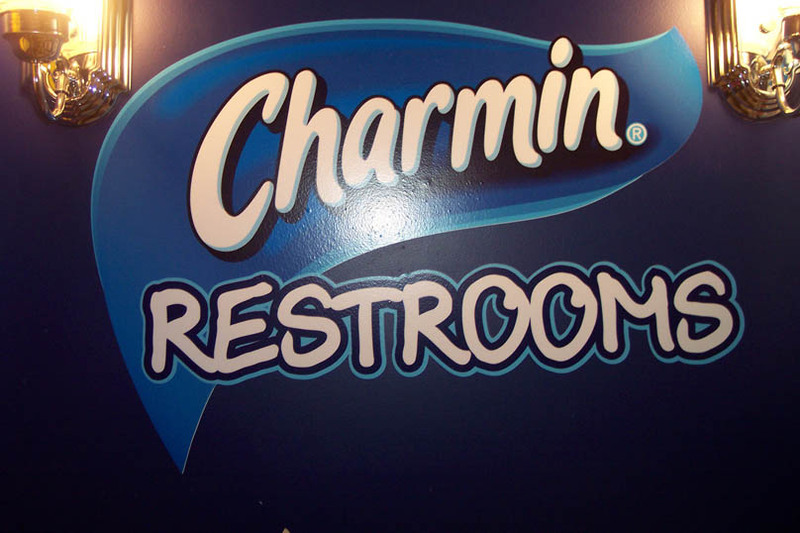 But, we DID check out something called the Charmin Restrooms in Times Square. They’re free bathrooms sponsored by Charmin with all kinds of festivities inside in addition to the cleanest bathrooms you’ll ever see outside of a fancy restaurant on Broadway. You basically wait in a really long line, which takes you up an escalator and eventually into one of 12 or so restrooms in a semi-circle. It might sound kind of gross, but they actually have several workers whose sole job is to clean the bathroom after you’re done. 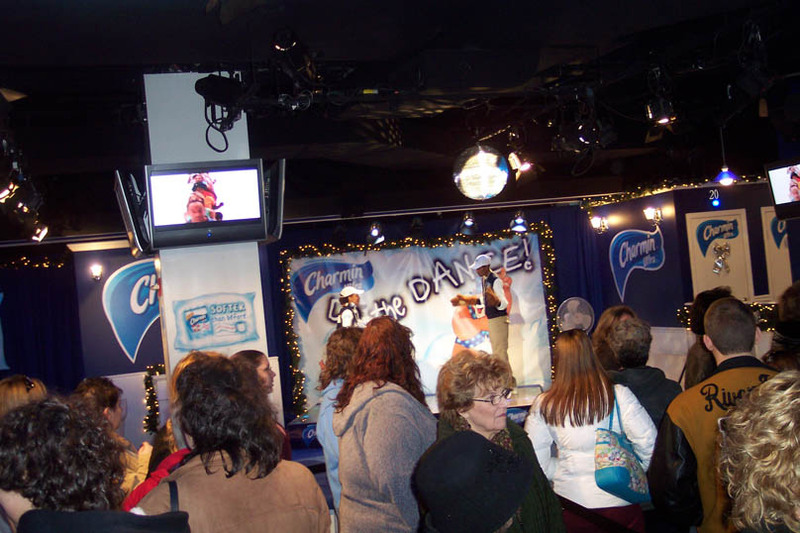 There’s also a stage where some of the attendants get up and do the Charmin dance. Here’s our batch of pics from that first year, I even snapped one in the actual bathroom. Crazy right? 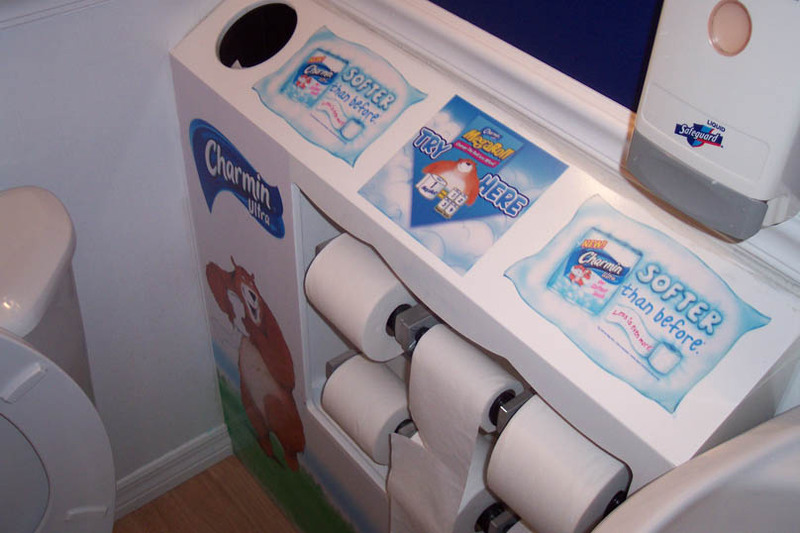 I can’t say the in-your-face advertising worked seeing as how I don’t usually buy Charmin, but I at least think of them fondly. After returning from the city that year, I told my parents about it and they were pretty excited. 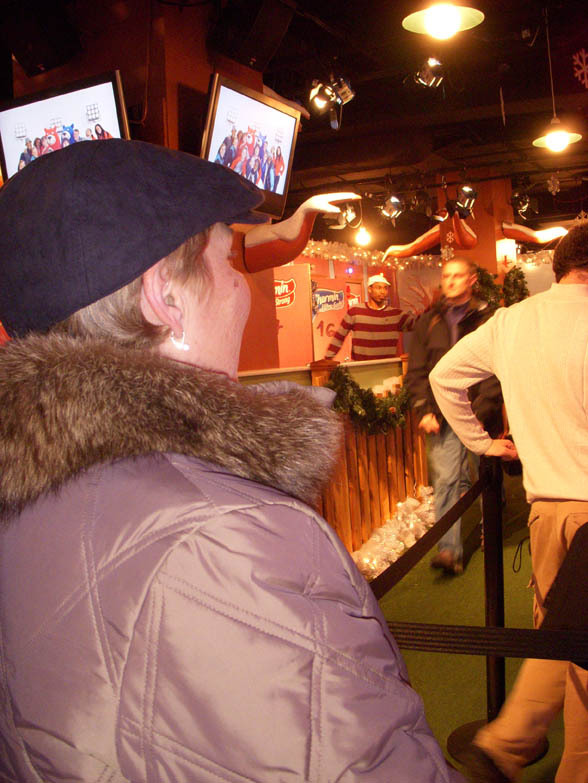 In 2007, neither of us remember going in, probably because we had just been there for the Big Apple Comic Con (and a dude can only look at windows in the freezing cold so many times). Well, last year, we had both sets of parents at our house for Christmas and went down into the city on Christmas Eve. The weather was crummy, but we got our picture taken in front of the big tree, saw some windows, went to lunch at Serendipity and saw Mary Poppins on Broadway. The mothers were very happy. 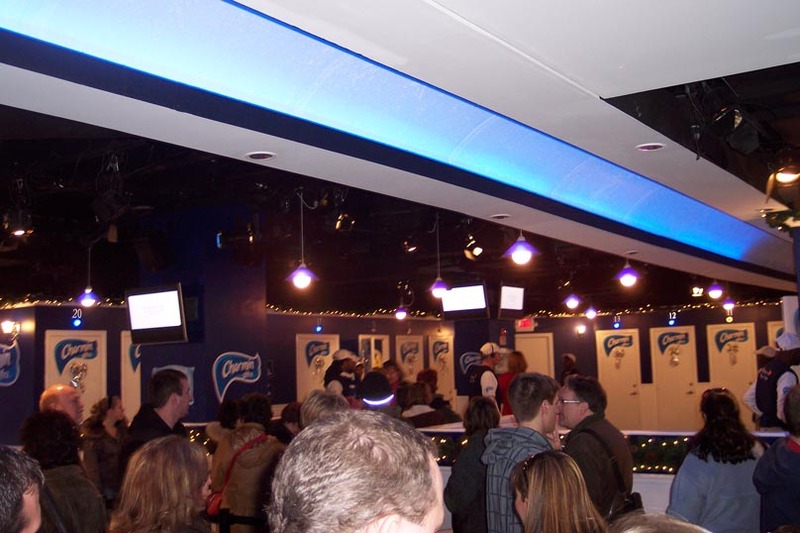 We of course, also went to the Charmin bathrooms again and, as you can see from comparing the pictures, a lot had changed. They semi-circle looked more like an actual structure as opposed to a bunch of doors. They also allowed people up on stage to dance, which my dad couldn’t resist. As you can see in the first picture, I was pretty excited (it was a very long day). I can’t remember why I didn’t take a pic inside the bathroom that time, but you can get some idea of the newer set up. This might not be for the ultra-shy as there was a dude with a mic standing in the semi circle talking to the audience and making witty comments. For as potentially annoying as the job could be, I’ve got to give it to everyone there for being super nice. 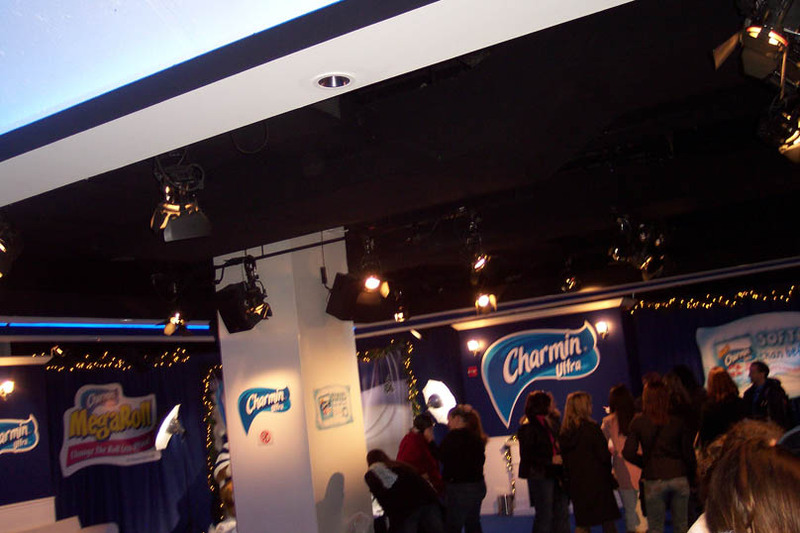 So, if you’re in the city this winter and need to go to the bathroom (or just want to see the place), check out the Charmin NYC bathroom website for times and locations. The last time I was in the city (last month), I actually saw them starting to set it up. With the folks on both sides coming back here for Christmas this year, expect another group of pictures from the bathrooms. 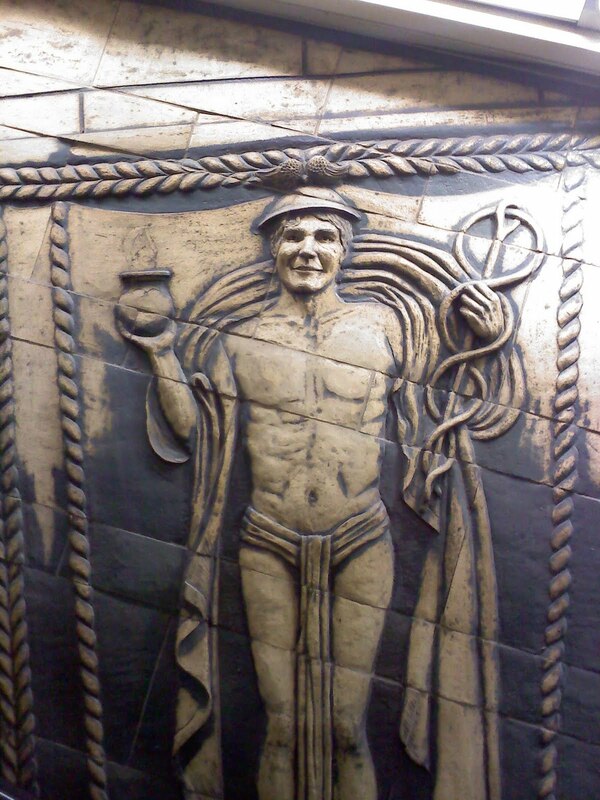 It’s been over a month since I’ve been a regular in New York City, but I just had to share this picture of a wall sculpture in Penn Station. It wasn’t on our usual route, so I didn’t see it for a while, but when I did, I stopped dead in my tracks (something I hate when other people do while walking anywhere in the city), pointed like David Brent points at the Bart Simpson doll and just looked between it and Rickey and Ben. The resemblance is crazy, right? 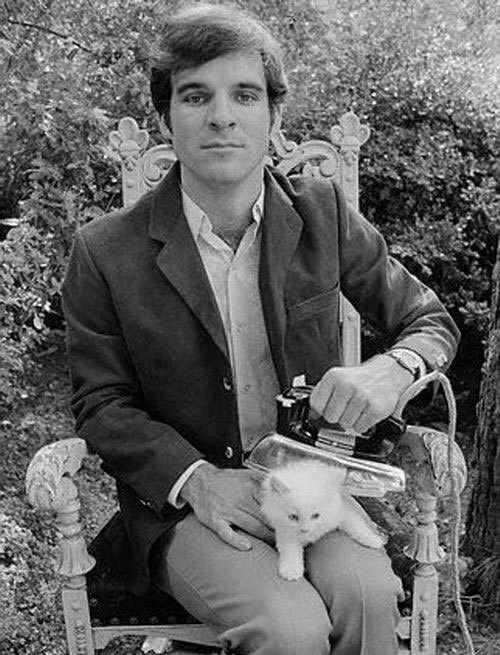 It looks just like Steve Martin! Anyone know the story of this thing? 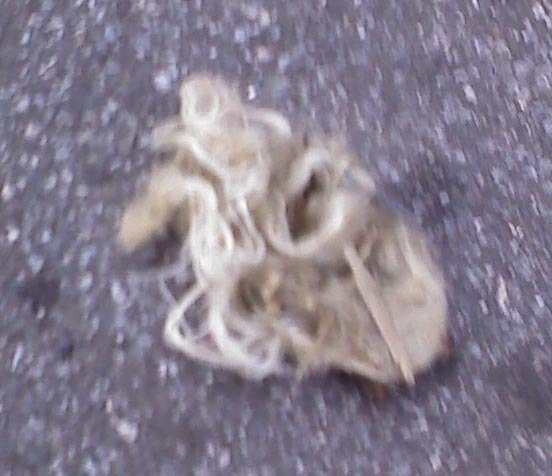 Whatever this pile of grossness is (hair? fur? ), it got stuck on the bottom of my shoe after leaving Bryant Park. I was pretty grossed out, but just had to snap a picture because…well, I can. It’s not the best picture because I wanted to get away from that monstrosity toot-sweet, but to give you an idea, it was about the size of a frolf disc and quit dense. Any other thoughts on what it might be?